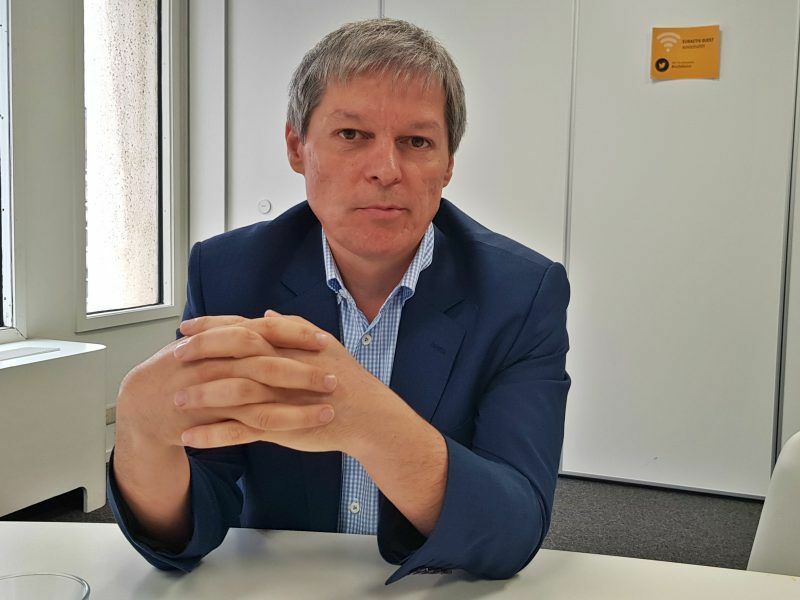 The new Romanian party, +Plus, founded by former EU Commissioner Dacian Cioloș, is in talks to run for the European elections in coalition with the Save Romania Union (USR), the new force’s campaign leader told EURACTIV in an exclusive interview. Vlad Voiculescu is a Romanian economist and politician, a former health minister in the technocrat government of Dacian Ciolos (17 November 2015 – 4 January 2017. As you have said, Dacian Cioloș is the best-known figure, but ‘+Plus’ is much more than one person. It’s a new movement, in less than two months we have gathered 8,700 members, and a couple of hundreds are waiting to be validated. What we are experiencing now in Romania is a waking up of the society in the middle of a nightmare, the difference being that the nightmare disappears when you wake up. But the ground is shaking, it’s like you dream of an earthquake and when you wake up, the earthquake is really happening. 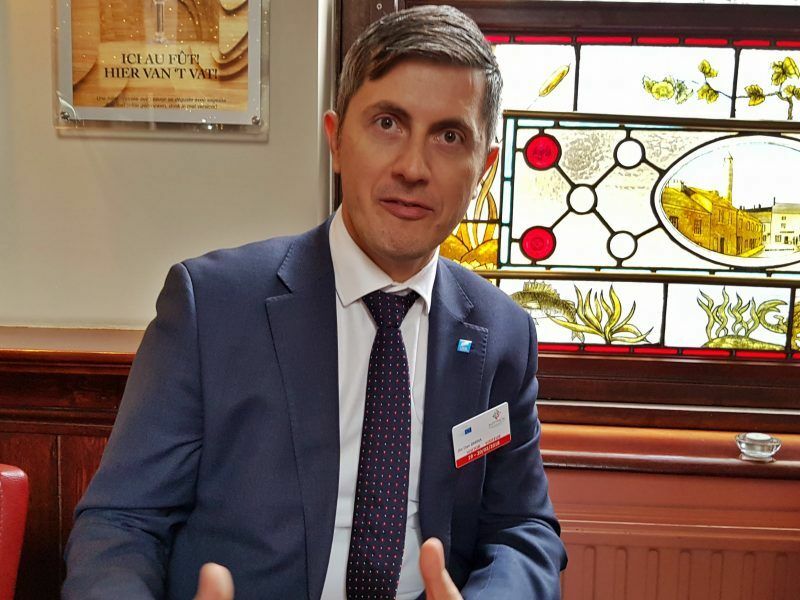 As Romania prepares to hold the rotating EU presidency at the start of 2019, EURACTIV met with Dacian Cioloș. The former prime minister and agriculture Commissioner has just set up a party in Romania similar to Emmanuel Macron’s En Marche, with one eye on the European elections. It’s clear that Mr Cioloș’ party is pro-European, and is against the ruling social-democrats from PSD. What other characteristics would you add? We are pro-Europeans indeed, fortunately not the only party in Romania to be pro-EU. Romania is one of the most pro-EU countries in Central and Eastern Europe. We are astonished by the recent allegations of the party you just mentioned that Europe is to be blamed for all that local politicians are unable to achieve. This is not new, and we can see this all over Europe, and to prove them wrong will be, I guess, the challenge of our generation. And to preserve what has been built in this amazing project that the European Union is. What will be your role in the ‘+Plus’ campaign? I will be running the campaign. My responsibility is that the results of the elections reflect the quality of our candidates and the aspirations of the people who will put their trust in our party. 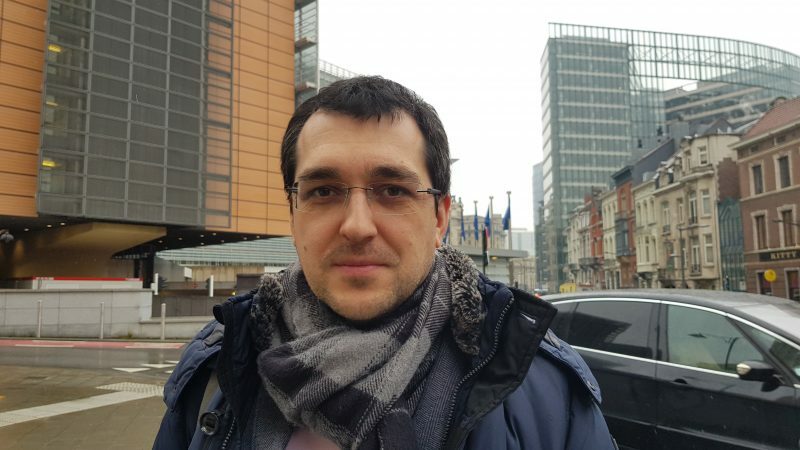 A Romanian member of the European Parliament, Cristian Preda, has reportedly joined your force and is now independent [He was previously from a small centre-right party affiliated to EPP]. Does your political force have a group affiliation? We will have a decision after the elections. So there is no decision yet if your party is centre-right or liberal? There is no decision yet, it will be decided after the [European] elections. [Laughs] He was the only candidate, and he is recognised by our members as our party’s leader, it’s not a matter of lack of internal democracy. Did your party obtain a registration to run for European elections on its own? We are right now in negotiations with another party, USR [Save Romania Union of Dan Barna], and we will most probably have a decision to run as an alliance, possibly ten days from now. Or we will run by ourselves. These are the two possibilities. A few months ago I spoke to Dan Barna and he said his force was similar to Emmanuel Macron’s En Marche. By the way, we don’t know yet if Macron’s party will join ALDE or create its own pre-election force. Your party seems to be in a similar situation. As I said, we haven’t decided yet. Perhaps it’s still too early to talk about election lists? We have them already, for all the 43 Romanian MEP seats. But what happens if you are in coalition with USR? If we are going to run in a coalition, we will have to combine those. Can you name a few people from the lists? Starting from Dacian Cioloș, who doesn’t need introduction in Brussels or in Romania, we have Dragos Pislaru, PhD in economics, a graduate of the London School of Economics, university professor and former minister in the [Cioloș] technocrat government, whose capacities are beyond any doubt, whose capacity to change things in Romania have been demonstrated over years in the private sector, in the education sector. He as a person who stands for what Romania could be one day. Or Dragos Tudorache, he was the youngest judge in Romania, with an outstanding career in the OECD, and in various European institutions, or Ramona Strugariu, with years of experience in Brussels, working on some of the most important files in the European Parliament, such as money laundering, or Alin Mituta, a young colleague with an amazing story, coming from a rural area in Romania and from a modest family, but who had a successful career in Brussels. He too was part of the technocratic government. This was the only government in which there were no corruption allegations, the only government of decent professionals. After the European elections, the challenge will be to forge a pro-EU majority. How do you see such a majority? If we look at the history of our countries, centuries have been needed to build democratic institutions. There are such amazing programs like Erasmus, like the cohesion funds, they have changed the life of millions of Europeans, they have changed our economies, and the way the countries look. Are you one of the Erasmus guys? I’m not one of them, but I’m one of the many that were able to travel abroad. I left my country when I was 18 and I lived in Western Europe for almost half of my life, in Vienna, in Brussels, and now I’m back in Romania. And I see my responsibility not only for my country but for Europe itself. If Romanians have any brains, they will vote for USR+PLUS. I think they’re finally waking up. Slowly.